Today most of the people would like to use VPS hosting services for their website the reason behind it is that in VPS hosting you get a privilege to have your own server space. And today if you are looking to buy a VPS hosting for your website then you are at the right place. Here at HostingRaja, we provide Fully managed, performance-tuned Secure VPS Linux Hosting Servers with amazing features and VPS hosting discounts upto 55%. Not only that we also provide 24/7 customer support. Login to your respective control panel in the OVIPanel. 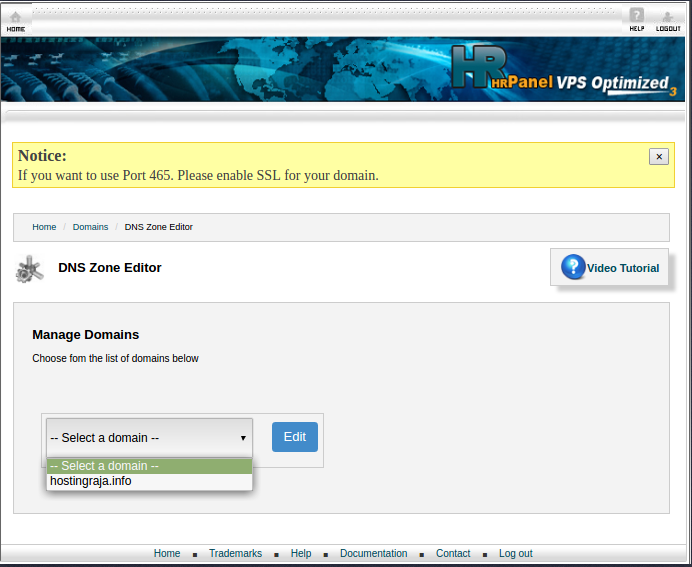 Find DNS zone editor under Domains section. Click on A on the upper side of the page. Enter the values you wish to change & click on save.